- Globalisation, nearly since the first day, EENI Business School & HA University has put its faith in its internationalisation activities by designing localisation strategies for different markets. - New technologies, to get students and customers closer as well as be able to add digital value through the Internet. 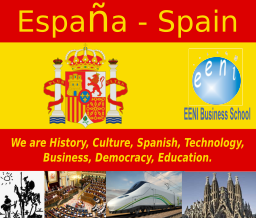 EENI was one of the first Spanish schools to have its website. Since the beginning, the “Free online International Business Guide” has been a reference for international business. 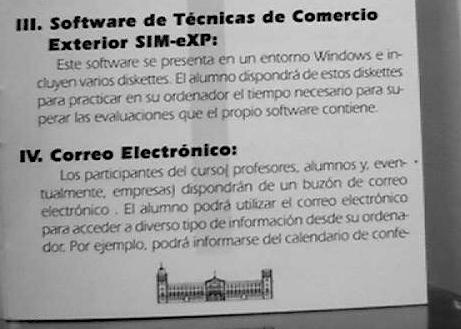 When EENI Business School & HA University was created, the school was located in Esplugues (close to Barcelona), and courses were distributed on diskettes. By that time, the Internet started to be considered as an essential tool and, as a result, EENI started contacting students from other countries (Argentina, Brazil, the United Kingdom, France). 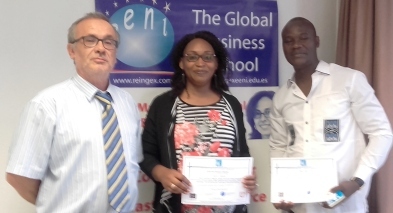 The first relevant project carried out by EENI Business School & HA University was the “Postgraduate diploma in international trade” for the University of Barcelona, which was studied in Spain, Brazil, Colombia, and Santo Domingo. EENI Business School & HA University also developed an “International Business Course” for CEAC Group, which was later translated into Chinese. Due to technological changes, all courses were adapted to CD-ROM. The following year, EENI Business School & HA University, together with Swedish and Italian companies, took part in a project financed by the European Union (EU), whose target was to elaborate an International Business Distance Learning course in Swedish, Catalan, and Italian. 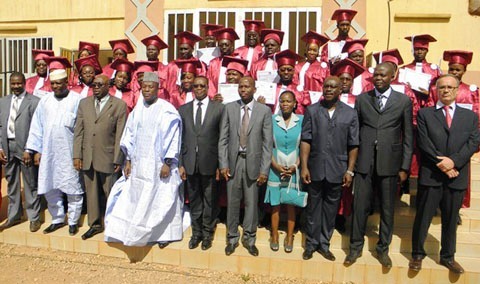 EENI also cooperated with Universities, Chambers of Commerce and Business Associations in distance education projects. - Strategic alliances with education institutions in several countries. - Distribution network in several countries (Argentina, Peru, Chile, Colombia, Venezuela, Brazil, Bolivia). EENI established a good relationship with the Electronic Business School of Ireland, and both schools initiated the first activities in European and Asian East countries. Projects in cooperation with educational institutions were strengthened in Latin America. EENI started translating its courses into English, French, Portuguese, and Italian. The first version of its e-campus was also created. During this time, several projects were developed with Universities, such as Pompeu Fabra IDEC University (Spain), Pontifical Catholic University (Peru), Jorge Tadeo Lozano University (Colombia), Missions University (Argentina), Royal University (Bolivia), and with Business Associations (Chambers of Commerce, Employers' Organisations). The beginning of 2001 set a new stage for EENI since it changed its courses and internationalisation strategies. These new strategies were focused on getting students and customers increasingly closer by including a group of scholars who added value to courses in its distribution network. The first online versions of the whole education system were set up, as well as a new version of the e-Campus was released. In the beginning of 2002, EENI introduced the “Master of Science in International Business,” which has been a real success. At the end of 2002, EENI presented its online education offer, an e-learning system, which was self-developed and focused on the idea that the students could download contents from the Internet and study off-line. The school also started working on developing a new learning area on International Business: Intercultural Management. 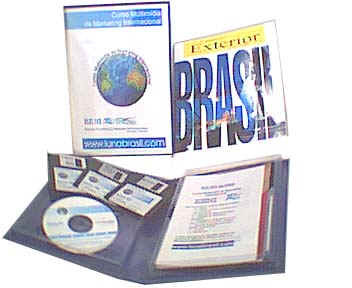 The case method was included in the field of international marketing and internationalisation strategies, and several group works were designed for students from different countries. Moreover, this year a cooperation agreement was signed with the ALADI (Latin American Integration Association). 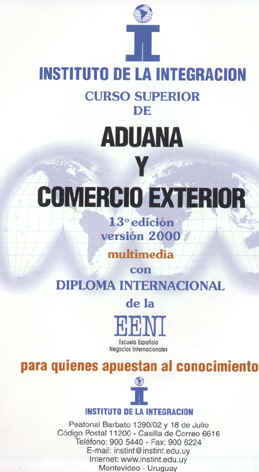 In the beginning of 2003, EENI presented its complete online education offer, as well as the second edition of the master, started to be available in several languages. 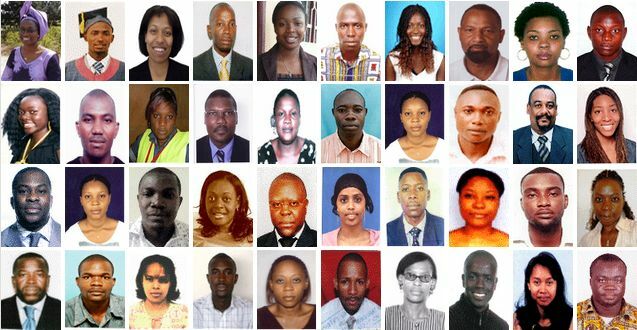 In 2003, EENI joined the United Nations International Commission on Distance Learning. In 2006, EENI opened corporate headquarters in Tarragona (Barcelona - Spain).